This Old Box You smell that? That's the tangy aroma of aging silicon, cigarettes and loneliness. 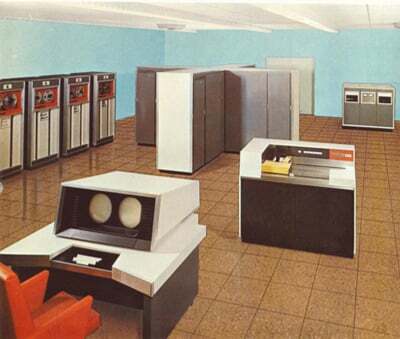 This week we're traveling back to the 1960s to look at one of the crown jewels of the high performance computing world. You'll notice that — Hey! Don't touch that. Has Jean Claude Van Damme's Time Cop taught you nothing about tooling with the past?! That's better. Yes, this column isn't just about small computers. Big girls need loving too. "Last week, Control Data ... announced the 6600 system. I understand that in the laboratory developing the system there are only 34 people including the janitor. Of these, 14 are engineers and 4 are programmers... Contrasting this modest effort with our vast development activities, I fail to understand why we have lost our industry leadership position by letting someone else offer the world's most powerful computer." By 1962, computer design genius Seymour Cray was fed up with overbearing management at Control Data Corporation. He approached CDC's CEO, William Norris and gave an ultimatum. Things would have to change or he would leave. Not wanting to lose a commodity like Cray, the company gave him permission to set up a new CDC laboratory at the location of his choice. Cray took a small team to his home town of Chippewa Falls, Wisconsin, where he continued his ongoing work to create the world's largest computer. 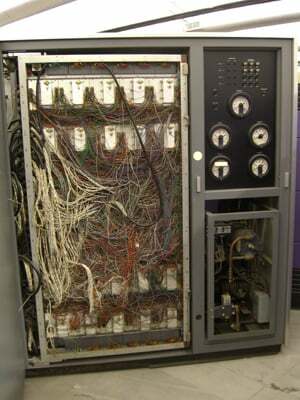 With his closest lieutenants Jim Thornton and Les Davis, Cray constructed a computational masterwork consisting of 400,000 transistors, over 100 miles of wiring (done by hand), Freon refrigerant cooling and the fastest clock speed for its day (100 nanoseconds). 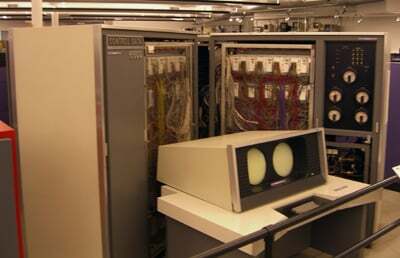 With more than 100 of the systems sold over the machine's lifetime, the 6600 is considered the first ever successful supercomputer design. It was the fastest in the world from its creation until 1969 (when the CDC 7600 was introduced). Cut the red wire to disarm. No, the other red wire. Typical machines of the time used a single CPU to handle the entire system. 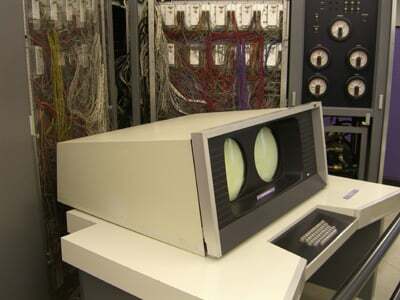 The 6600 was able to out pace the competition by using a central processor assigned to math and logic only, which was supported by ten separate speedy peripheral processors. The machine was built in a plus sign-shaped design, with a heat exchanger and cooling unit at the end of each appendage. Two arms of the central processor contain the central memory, one arm housed the CPU logic and the fourth contained the memory and logic for the peripheral processors. 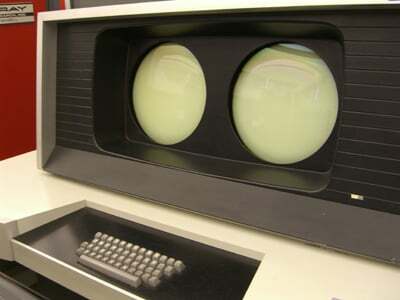 Additional equipment included tape and disk units, high-speed card readers (about 1000 cards/minute) and a card punch. 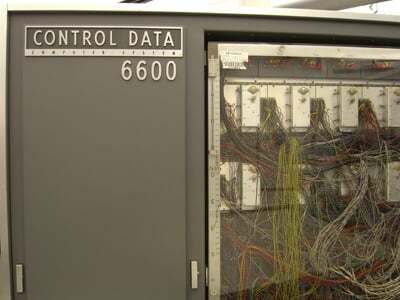 The CDC 6600 had 60-bit words of memory and a large disk storage device with six high-speed drums between central core storage and magnetic tapes. It even came with a fabulous orange vinyl chair. Vendors knew how to treat a customer back then. The 6600 solidified Cray's career and would propel him to near mythical status in the supercomputing community. Cray would later leave CDC to form his own company — but that's a story we'll tackle later on. This cubicle is a little snug. As always, thanks to the Computer History Museum in Mountain View, California for not noticing us balancing precariously on the rails to get a better shot.